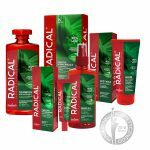 Specially selected set active ingredients – natural extract of linden flowers and horsetail, collagen, keratin and Inutec fluid – visibly strengthens hair, improves its dynamics and firmness as well as adds volume and protects against damage. 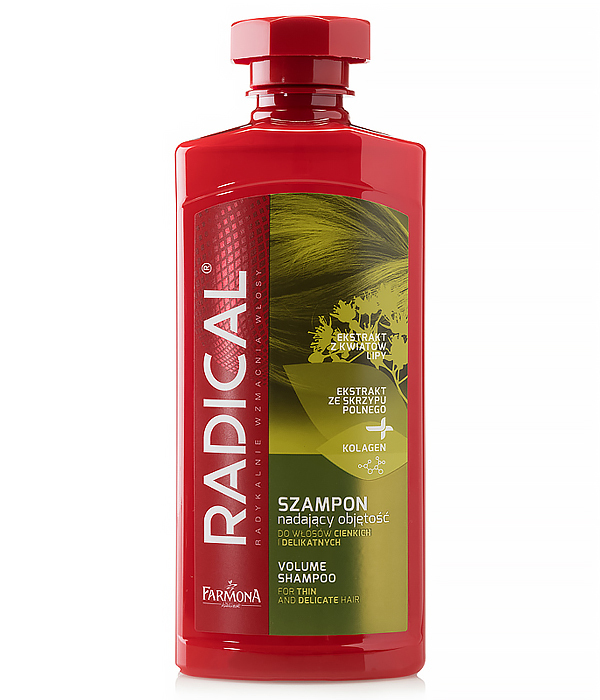 Through regular use of Radical® shampoo the hair stays fresh longer and has larger volume, it becomes more fluffy, shiny and easy to arrange. Apply a small quantity of shampoo on wet hair and gently massage until foaming. Then rinse with water. If necessary, repeat the procedure.